Vallejo Game Colour is a range containing colours more common in Fantasy and Sci-fi settings. 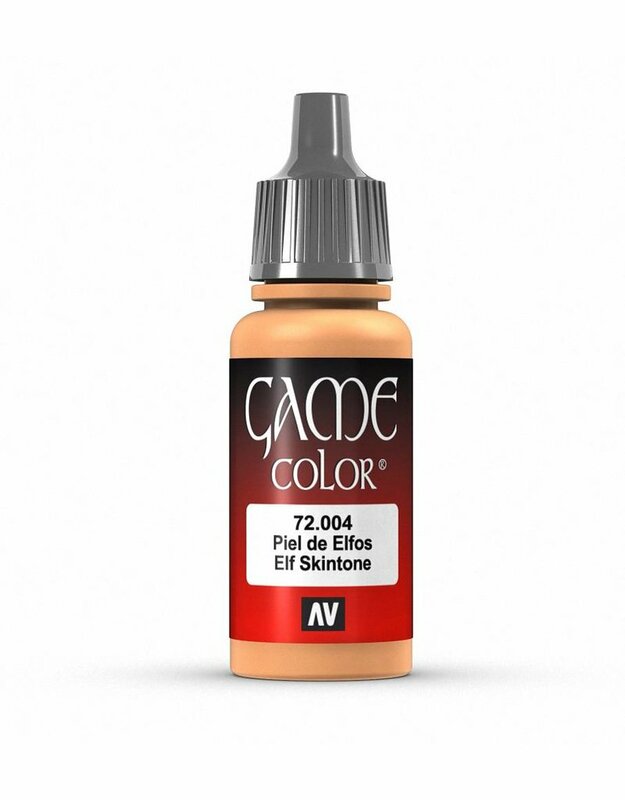 Vallejo Game Color contains finely ground pigment and a special resin formula that gives the paint unparalleled coverage durability, and dries to an opaque finish. Vallejo Game Color acrylic paint is designed to give superior coverage on metal, plastic and resin models, and can be freely mixed with other acrylic colours and Vallejo Auxiliary products. Once sealed with varnish, the colours are highly resistant to scratching and solvent application. The Vallejo Game Colour acrylic paint range comes in convenient dropper bottles, giving painters and hobbyists complete control over paint flow from the bottle.